The family is a factory. First explained by Nobel Laureate Gary Becker, the family combines land, labor and capital for the shelter, clothing, food, education and all else it needs to “produce” children. Household members engage in a division of labor whereby some individuals participate in workplace market activities while others remain at home. The numbers even indicate that families can benefit from economies of scale because each additional child requires less of an investment. Where are we going? To the land, labor and capital investments that produce children. 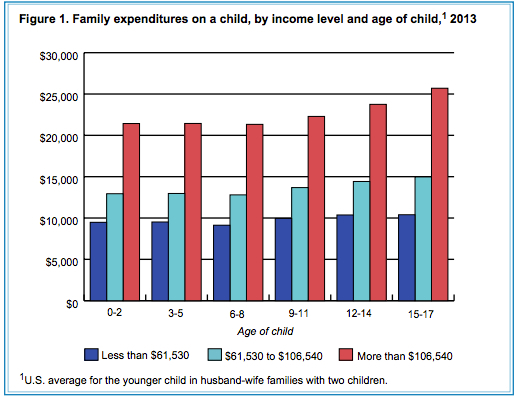 In 2013, an average American middle income family spent $245,340 on raising a child until age 18. 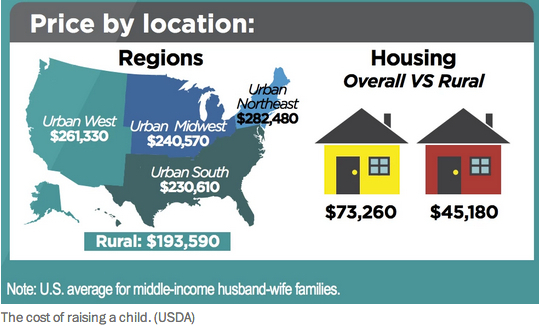 With the urban Northeast most expensive and rural areas the cheapest, the cost of raising a child depends on where you live. Looking at how families allocate land, labor and capital to “produce” children, you can see below that housing receives the most resources and child care/education is #2. Also, though, the investment in land, labor and capital changes with a child’s age. And, depending household income, the investment varies. 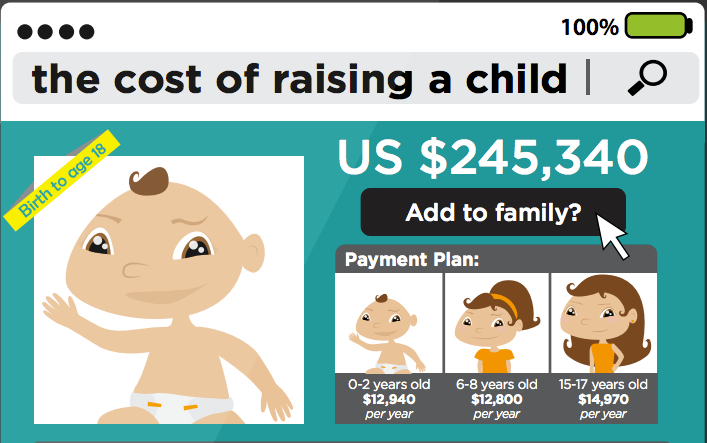 Finally, as with all economies of scale, the more children you have, the cheaper per child it gets. Single child families spend 25% more on their offspring than the average amount spent in 2-child homes. And, it gets better still. 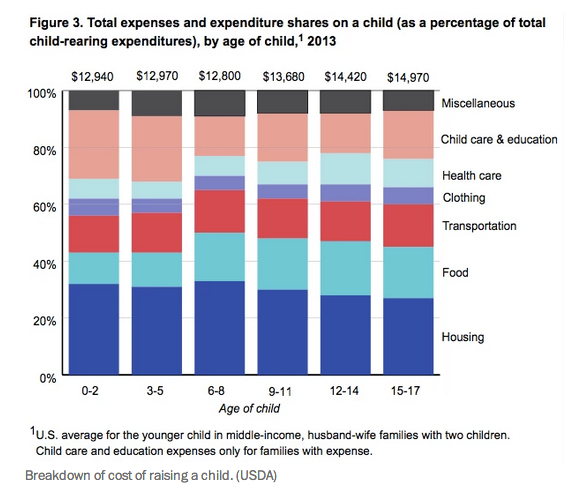 Households with 3 or more children spend 22% less on each child. Our bottom line: If you think factory rather than family, a new image of your household emerges. That crib you just purchased is capital, a dad and mom are labor and the backyard is land. Together, your land, labor and capital compose the factor resources you use to “produce” children. Previous ArticleDo You Want a Healthcare Nudge? Next ArticleShould Your Boss Require Vacations?